FC Barcelona and the family of Johan Cruyff, represented by president Josep Maria Bartomeu, first vice-president Jordi Cardoner, and Johan’s son Jordi Cruyff, appeared at a ceremony this morning in the Auditori 1899 to publicly announce the mutually agreed actions to forever honour the memory of a man who was both a Barça player and manager, and is now and eternally will be a club legend. The announcement was originally scheduled for Friday to mark the first anniversary of the death of Johan Cruyff but was postponed by a day due to the passing away of former president Agustí Montal i Costa, who was precisely the man who signed the Dutch star, the greatest player in Europe at the time, in the summer of 1973. 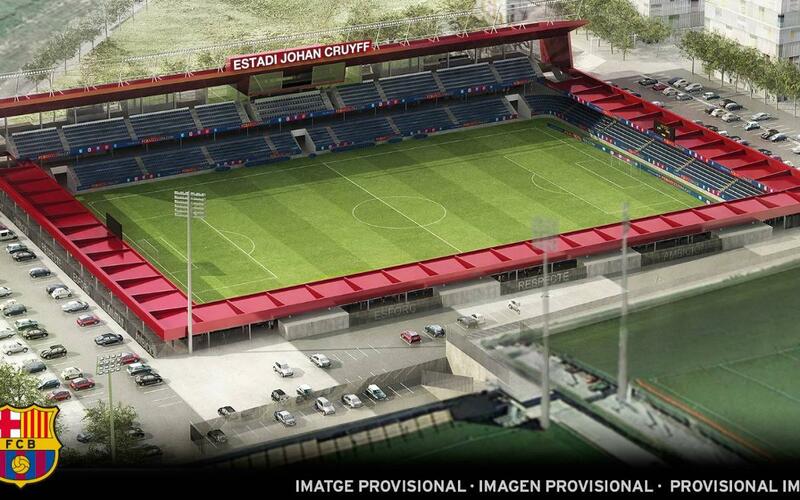 First of all, the future stadium in the Ciutat Esportiva training complex is to be named the ‘Estadi Johan Cruyff’. Therefore, the most emblematic building in the facility where future Barça players are coached is to be named after somebody who played such a central role in fostering youth talent at the club. The club shall also be overseeing the creation of a commemorative sculpture to honour the memory of Johan Cruyff, which shall be located in the future Camp Nou, the central part of the Espai Barça project. There shall also be a section of the FC Barcelona Museum that will be especially dedicated to the life and times of Johan Cruyff. Two of the most prized exhibits have been donated to the club by the Cruyff family: the Ballon d’Or trophy that Cruyff was awarded in 1974 and Cruyff’s number nine shirt. The club and family shall also be formally requesting that Barcelona City Council name one of the streets or other spaces in the city after Johan Cruyff, somewhere in the vicinity of the Camp Nou stadium.